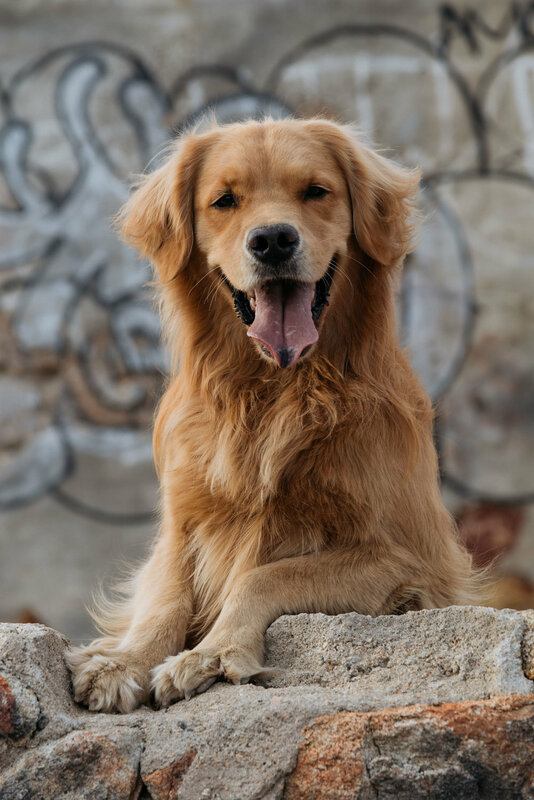 Louie is a 4-year old Golden Retriever; A California soul, with a heart of gold. He is passionate about putting smiles on people’s faces. Louie was born in Orange County, and soon after made his way up to Los Angeles where he now lives with his people parents. It’s hard to know if they love Louie more, or Louie loves them more. Either way, there’s a whole lotta love. Never passing up the opportunity to meet someone new, Louie is notoriously the friendliest guy on the block. Louie is not just a cuddly, soft, cute, friendly four-legged ball of gold. He is wise. He is witty. He is knowledgeable. He is compassionate. He is loving. He is light-hearted. He is positive. And most of all, he lives life to the fullest. You’ll hardly catch Louie without a smile on his face, unless of course he’s catching some Zzz’s to recover from a long hike or beach adventure OR if he's mid-boxing match with his cat brother.